Two simple ingredients is all that you need for this easy homemade pumpkin seed bark! A few months ago I was shopping at Costco around lunchtime. Shopping when hungry is dangerous because it is so tempting to put everything in your cart. Shopping at Costco when hungry is even more dangerous because there is even more to tempt you. One of the things that tempted me that day was the Bark Thins chocolate pumpkin seed bark. I put it in my cart and opened it as soon as I got to the car. I couldn’t wait to try it. And I was immediately hooked. I loved it. It was so good. By the end of the day my kids and I had pretty much finished off the bag. As I was eating it though, I realized that I could easily make it. It was basically chocolate and pumpkin seeds. That was it. I love making homemade versions of our favorite foods and this was one I knew I could easily make at home. 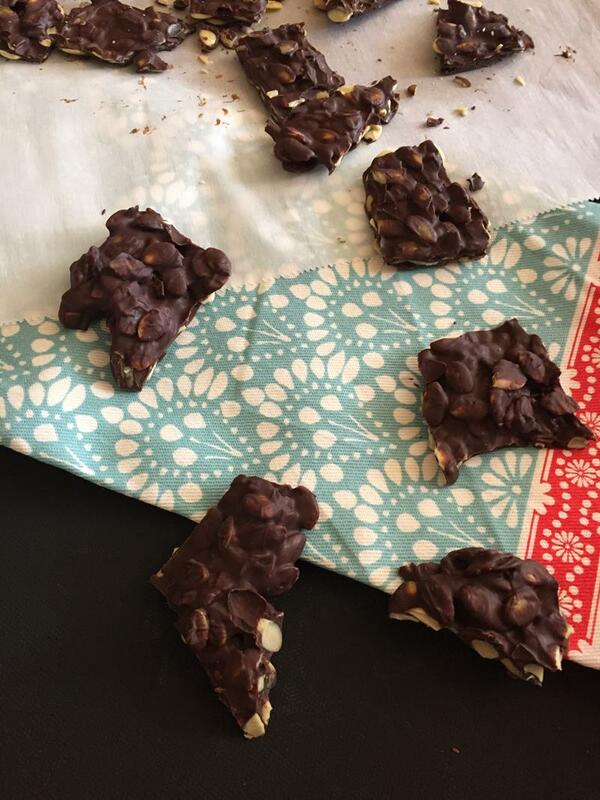 Plus, the Bark Thins aren’t really safe for my daughter with the nut allergy because of cross contamination so making a version at home is much safer for us. Making this at home was so easy and so good! It is only two basic ingredients. Chocolate and pumpkin seeds. That is all. You don’t even really need a recipe. You can change it up by using different kinds of chocolate and if you want a little different, saltier version, sprinkle some sea salt on top of it after you spread the chocolate out. Line a cookie sheet or jelly roll pan with a silicone mat or parchment paper. Set aside. In a microwave safe bowl melt chocolate. Cooking at 50% power and stirring every 30 seconds until melted. 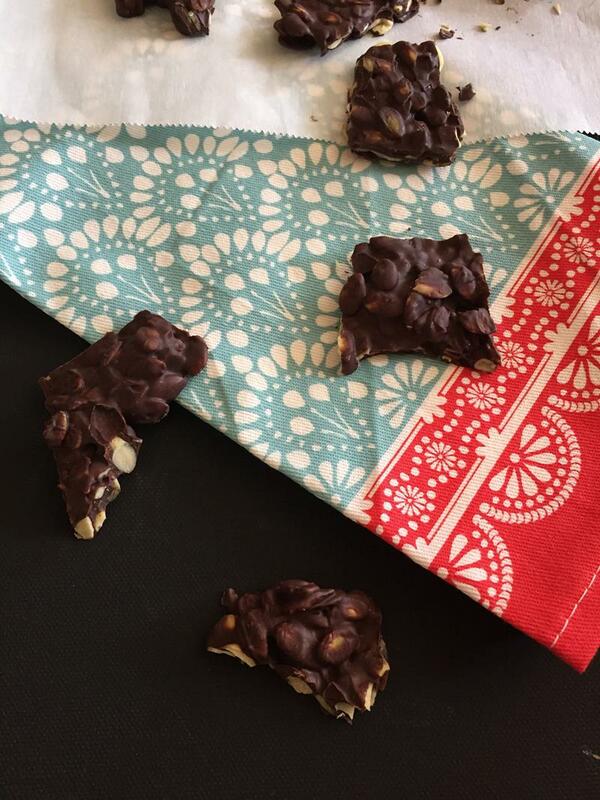 Spread chocolate mixture out onto silicone mat or parchment paper.